The vertebral column is a series of approximately 33 bones called vertebrae, which are separated by intervertebral discs. Anatomical features of each vertebral body that can be identified radiographically include anterior vertebral body, posterior arch, pedicles, laminae curve, spinous process, and transverse processes. Luschka joints are small synovial articulations, situated between the five lower cervical vertebral bodies. Articulations between adjoining vertebrae include intervertebral disc, zygapophyseal joints, and uncovertebral joints. Cervical spine radiographs should be performed in all patients who have suffered major trauma as part of a trauma series that includes; lateral radiograph cervical spine, frontal CXR, and frontal radiograph of the pelvis. Radiographs performed for suspected trauma of the cervical spine include lateral view i.e traction on shoulders may be used to assist visualization of lower cervical spine. Where lower cervical obscured by shoulders, a swimmer’s view may be performed. Oblique views radiographs of cervical spine show the facet joints and intervertebral foramina. Cervical spine radiographs should be checked in a logical fashion for radiographic features that may indicate trauma. 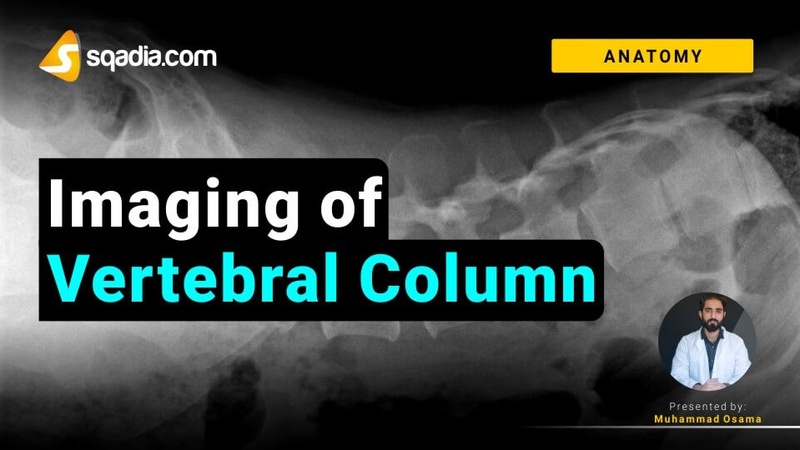 These features include vertebral alignment, bone integrity, disc spaces, and prevertebral swelling. While diagnosing and classifying cervical spine injuries, it is important to decide whether the injury is stable or not. Instability implies the possibility of increased spinal deformity. Radiographic signs of instability include displacement of vertebral body, odontoid peg fracture, and fractures at multiple levels. Non-traumatic neck pain is an extremely common complaint. Most cases are due to musculo-ligamentous strain or injury. 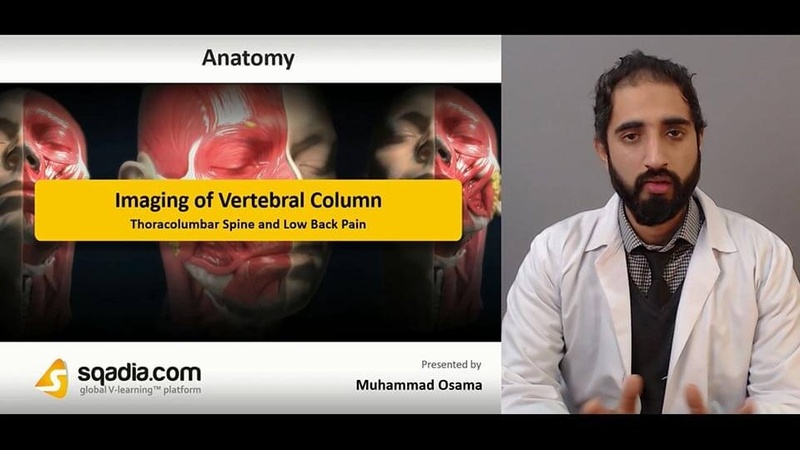 Multiple structures are capable of producing pain including vertebral bodies ligaments, muscles, intervertebral discs, and vascular and neural structures. MRI is the investigation of choice where further imaging is required for persistent nerve root pain and assessment of a possible spinal cord abnormality. CT is used in the investigation of neck pain where fine bone detail is required. Assessment of plain films of the thoracic and lumbar spine following trauma are similar to that for cervical spine with particular attention to the following factors i.e. vertebral body height, disc space height, space between pedicles on AP film. Lower back pain refers to back pain that does not extend below the iliac crests. Acute back pain usually refers to pain of less than 12 weeks of duration. Specific low back pain refers to back pain with associated clinical symptoms or signs, known as red flags that may indicate an underlying problem e.g. known primary tumor or thoracic pain.